Everyone likes to make their moms feel special on Mother’s Day – and so do we. 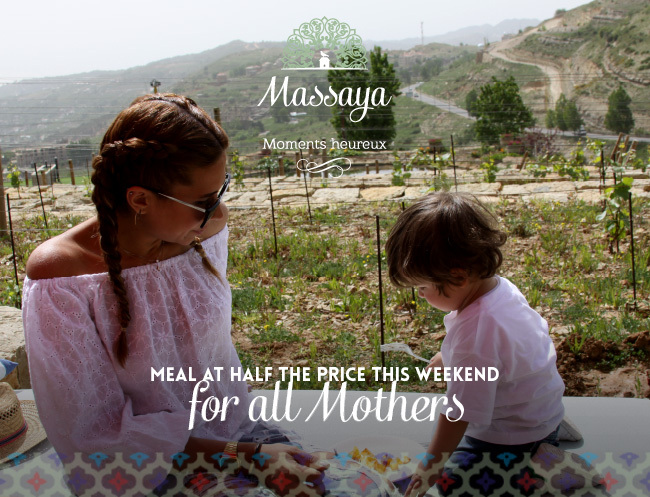 For lunch or dinner during the weekend of March 24th and 25th we will give all mothers a 50 percent discount on their meal. And of course that includes grandmothers too! The Fireplace restaurant at Massaya Faqra is a lovely venue with its busy kitchen, open fire and fabulous views across the mountains. The ambience is perfect for a family party or a more intimate meal – and who knows, it might just be warm enough to sit out on the terrace for an aperitif. Our friendly team is ready to welcome you and your mother!